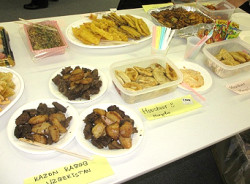 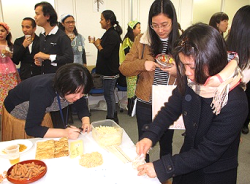 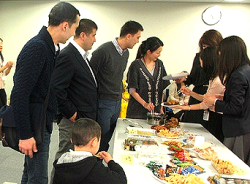 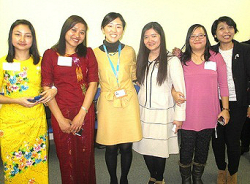 The office was full of joy with more than 60 JDS Fellows and dishes of various countries prepared by them. 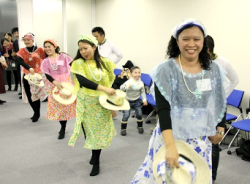 JDS Fellows from the Philippines also volunteered to have a wonderful performance of their traditional dance. 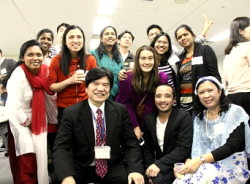 It was a good opportunity for the JDS Fellows to communicate with those from other countries and universities. 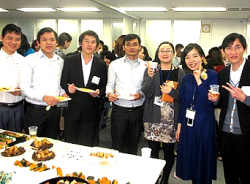 At the same time, we were happy to see that they were having precious academic life and enjoying their daily life in Japan as well. 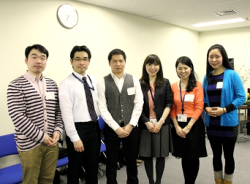 We are looking forward to having another opportunity which can contribute to their fruitful study in Japan. 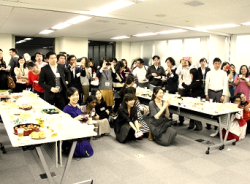 More than 60 JDS Fellows from 10 Universities around Tokyo got together and had a good time.